Hi everyone and happy Sunday! 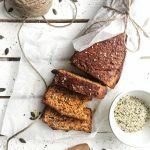 After finding out a few weeks ago that I should be eating more protein for my body type, I started looking into some easy high protein recipes and in collaboration with Good Hemp I’m happy to show you this savoury Protein Bread Recipe that I made last week! In a large jug combine the yeast with the pinch of sugar and add in the water. Let the mix rest for about 5 minutes and then slowly add in the milk and tomato paste and stir it well, so that the tomato paste blends in with the other liquids. 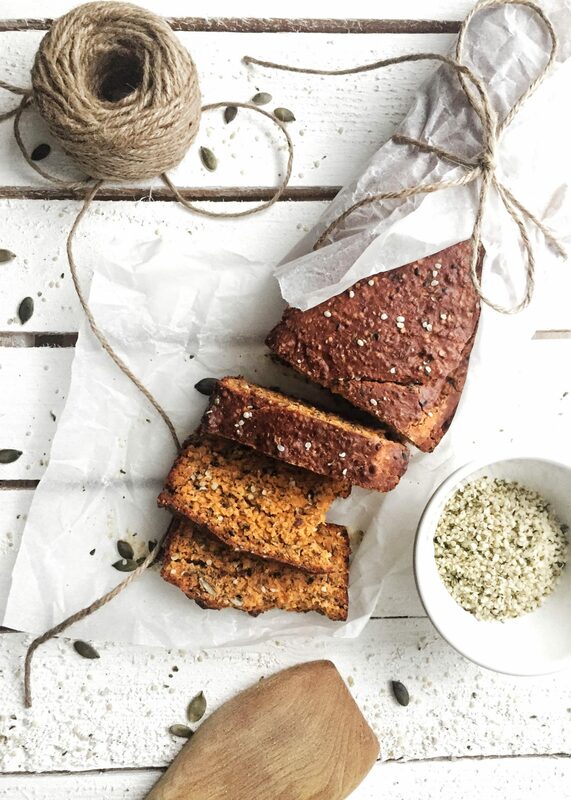 In a large bowl combine the rest of the dry ingredients for the protein hemp bread. Create a well in the middle of the dry ingredients and slowly start adding the liquid whilst stirring. You can use a spatula for this or also a large whisk. Let the batter rest for an hour, covered with a damp cloth, so that the yeast can do its job. In the meantime, preheat your oven to about 180 degrees and grease a bread tin. I don’t like using baking paper – simply because it is often not necessary, but also because no matter which baking paper I have tried in the past: it always gets stuck on my bread. 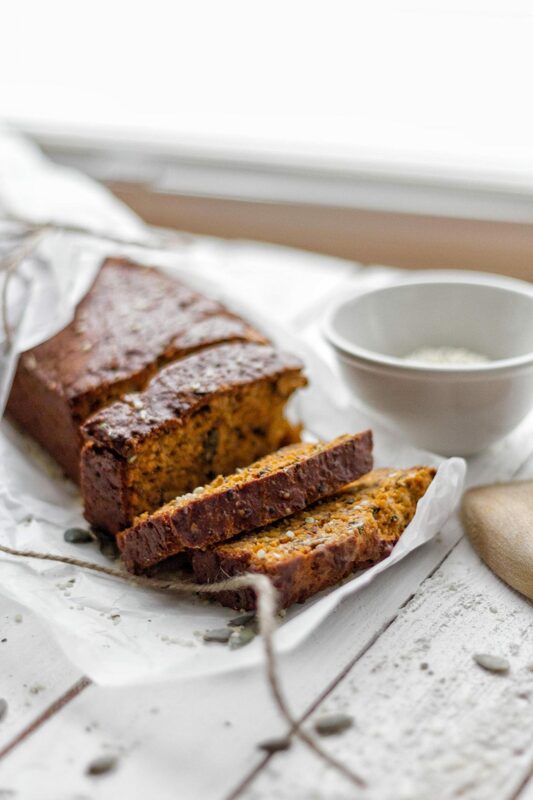 So simply use some oil – such as coconut oil or in this case (as it’s a savoury bread) you can also use olive oil. Add the batter to the tin and bake it in the oven for about 45 minutes. You will be able to tell that the batter is slowly rising. After the baking time elapses test the bread with a pick and if it is still too moist, bake it for another 10 minutes. Aaaaand voila: you are all set to enjoy it! Leave some topping ideas below – always open to new suggestions! Have a great Sunday guys!